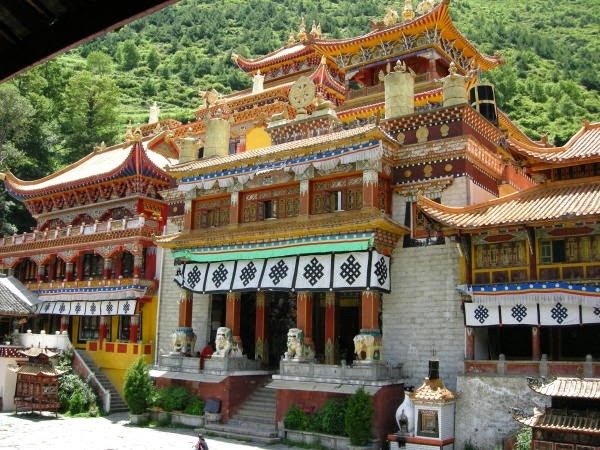 Anjue Temple is a typical Tibetan style constructed temple situated in the banks of Zheduo River and Jiangjun Bridge in the city of Kangding located in Sichuan province of People’s Republic of China. Kangding is the biggest city and capital of Ganzi of Tibetan Prefecture. In Tibetan dialect, the city is called as Dardo. 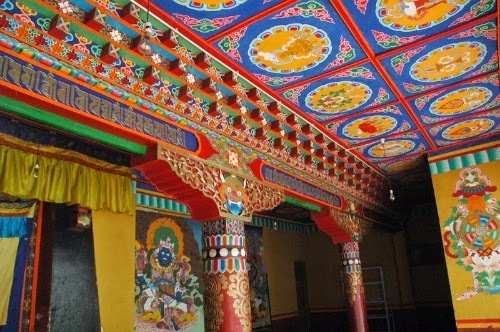 The temple is believed to be constructed at the instruction of Dalai Lama 5 and the temple work is completed on 25th October, 1652. There is an interesting story behind the construction of this temple. It is said that in 1652 Dalai Lama 5 was asked the local monks to construct a temple here when he was passing through Kangding. He himself was present in the opening ceremony of the temple. He assigned the task to 5 lamas and also arranged 5 believers to help the lamas. In that way the number 5 have very important role in this temple. In Tibetan dialect five is known as Anque, which has a meaning Safety. So the temple is known as Anque. In July, 1937 a Chinese official Da Chuanxia, who was in charge of Examination and education, renamed the temple as Anjue and placed plaque by this name. 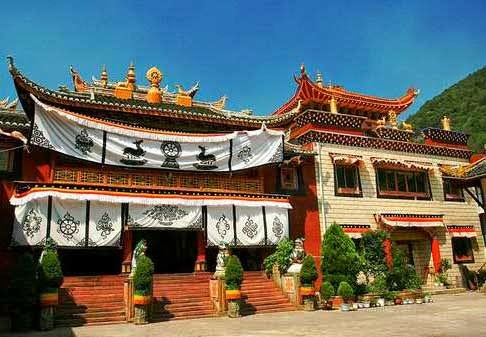 But during the Cultural Revolution, the plaque was destroyed but people started to call this temple as Anjue Temple and today it is known as Anjue Temple fondly. It is easy to travel to Kangding city from Chengdu or Luding or Tagong or Litang. From Litang to Kangding city, it will take 9 hours journey and from Chengdu the journey will take six to nine hours. The nearest city to Kangding is Tagong and Luding which will take only four hours! You can have regular route bus or luxury bus or even taxi at your convenience. People who are planning for air routes, the nearest airport is Chengdu. During winter the flight journey will be disrupted due to poor weather conditions. 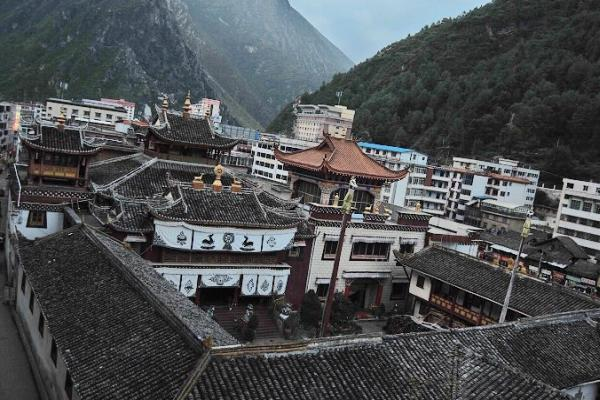 From Kangding city, it is only a walking distance to the temple. It will be a wonderful experience to walk free on the thoroughfares! 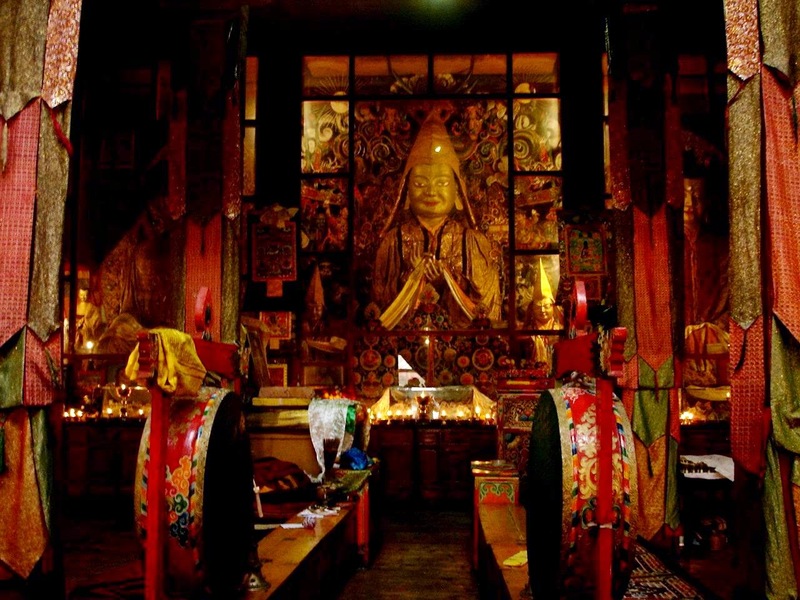 There are lots of Tibetan style restaurants available in the city and premises of the temple. You will have the rare opportunity to experience the Tibetan delicacies. Since it is a high altitude area the temperature will be relatively cold than any other locations in China. June to early September is season for monsoon, which will bring heavy rain and during this time the temperature will dip down to minus two degree Celsius. January to July will be comparatively good climate as per Tibetan standard. During this period the temperature will be 15.5 degree Celsius. For people from Tropical climate this temperature is still considered as a cold climate. Due to the uneven climatic conditions, it is advised to keep warm cloths and cold protective shoes. Travelling to unknown destinations are always wonderful experience. When planning to visit remote locations in China, do proper research and try to get some good English guides. And also carry local currencies, as it would be difficult to find ATM in the vicinities in most cases. So plan your trip and enjoy your holidays!